This is your chance to meet Maren Morris in the 'middle'! 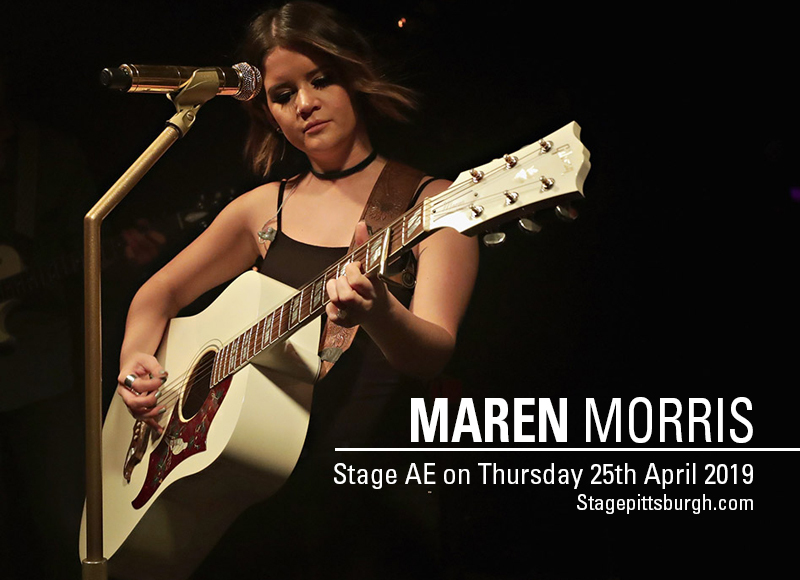 It's high time to catch Maren Morris as she takes center stage on Thursday, 25th April 2019 at the Stage AE. She's the voice that world-renowned DJ Zedd hand-picked to breathe life into the chart-topping smash "Middle". Now with a spanking brand new album "Girl", this supporting tour is currently hitting trending topics as tickets have started moving out of the shelves. so to speak. Prep up your group chats, for you and your pals, should start clicking and booking tickets now. The girl who bested a dozen others to be the lead singer of Zedd's smashing composition "Middle", was Maren Morris. From there, doors of opportunities flung wide open for this country singer-songwriter, who penned "My Church" and "80's Mercedes," that gained for her significant success in the realm of country music. In June 2016, she released her major label debut album called "Hero," which reached the top of the US Country Albums chart and peaked at five on the Billboard 200. That same year, she bagged the award for New Artist of the Year, in the Country Music Association awards. Maren Morris is also a much sought-after songwriter who has penned songs for major country stars, including Kelly Clarkson, Tim McGraw, and Brothers Osborne. Her current single "Girl" from her sophomore album is a catchy piece and best heard live along with other hit songs. Time to ditch those earphones or airpods. Go for the real thing. Maren Morris is best seen, heard, and enjoyed live. Be part of the "Girl" tour. Book your tickets now!